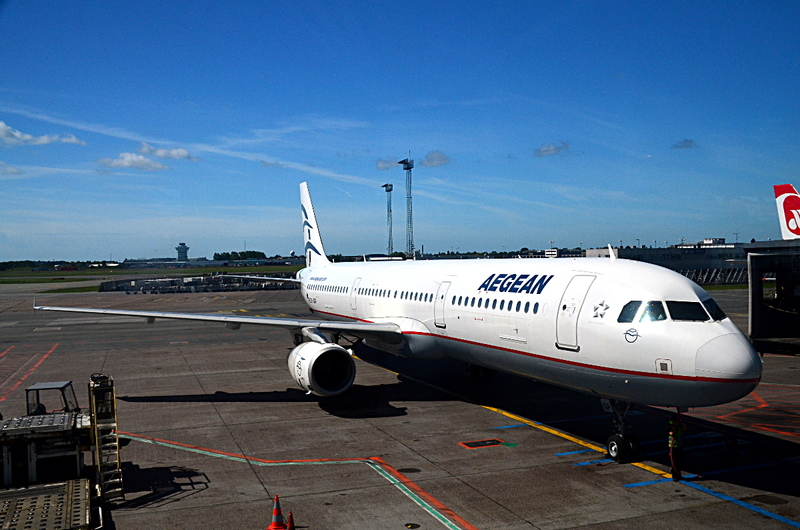 This Airbus A321-232 is registered SX-DGP, and has been flying for Aegean Airlines since 2014. It was delivered new to Indian airline Kingfisher back in 2007, and is fitted with two International Aero Engine V2530-AS engines. It is seen taxiing into Copenhagen Kastrup airport’s gate A22 after flight A3810.